Here are some of our products that we work on outside of the Microsoft Identity Manager space. Lithnet Password Protection for Active Directory (LPP) enhances the options available to an organization wanting to ensure that all their Active Directory accounts have strong passwords. LPP gives you the ability to take control of what a good password means to you. Whether you want to adopt the 2018 NIST password recommendations in part, or in full, it provides a rich set of group policy-based controls that allow you to enable any combination of the following checks on attempted password changes. Block passwords based on certain words. Adding a banned word prevents it from being used as the base of a password. For example, adding the word 'password' to the banned word store, prevents not only the use of that word itself, but common variants such as 'P@ssw0rd', 'pa55word!' and 'password123456!'. LPP is aware of common character substitutions and weak obfuscations and prevents their use through a normalization process. It also includes the ability to audit your users' existing passwords against the compromised password list. You'll be able to find the weak and known compromised passwords, and force those users to change their password. Microsoft's Local Admin Password Solution (LAPS) is one of the most important defences against the risk of lateral movement of threats between computers when the same local admin password is used on each machine. It regularly rotates and randomizes the local administrator password on each machine, and securely stores it in Active Directory. 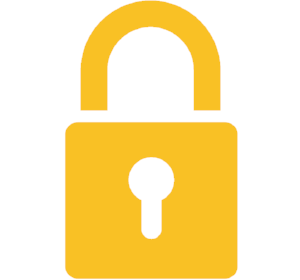 The Lithnet LAPS web app, addresses some of the usability and auditing issues with the native product, by providing a user-friendly method of accessing LAPS passwords. The Lithnet Idle Logoff tool is a simple utility that allows you to log off users after a period of inactivity. It was designed specifically with kiosk and student lab scenarios in mind. Lthnet MoveUser is a command line tool that can be used to change the owner of a profile from one user to another. It is designed to be a replacement for Microsoft's moveuser.exe tool (used for Windows XP), originally included in the Windows Resource Kit, and the Win32_UserProfile.ChangeOwner WMI method, used for Windows Vista and above.